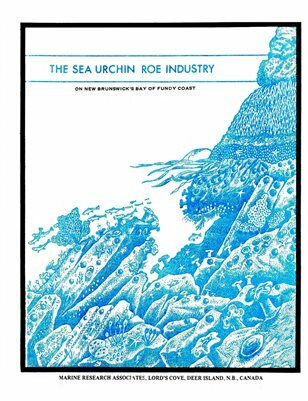 Publications related to marine and freshwater fish and fishing. Print + Digital: $43.00 Digital: Free! 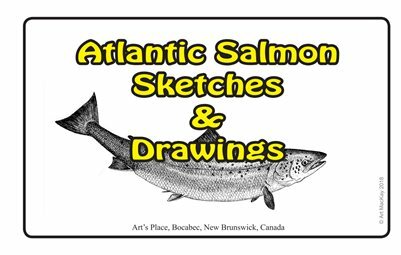 Drawings and sketches of Atlantic salmon by Art MacKay and other public domain artists. 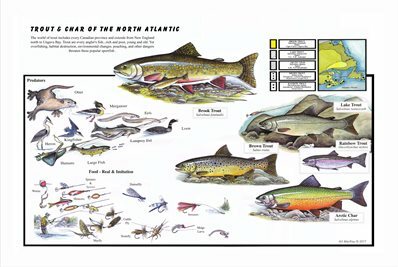 This infographic depicts the key trout and char that occur along North America's North Atlantic coastal area. 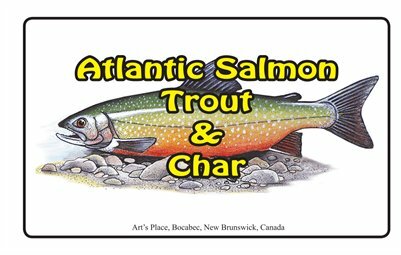 Art MacKay's print catalog featuring Atlantic salmon, trout and char.